Home English Star hero funding top piracy site? 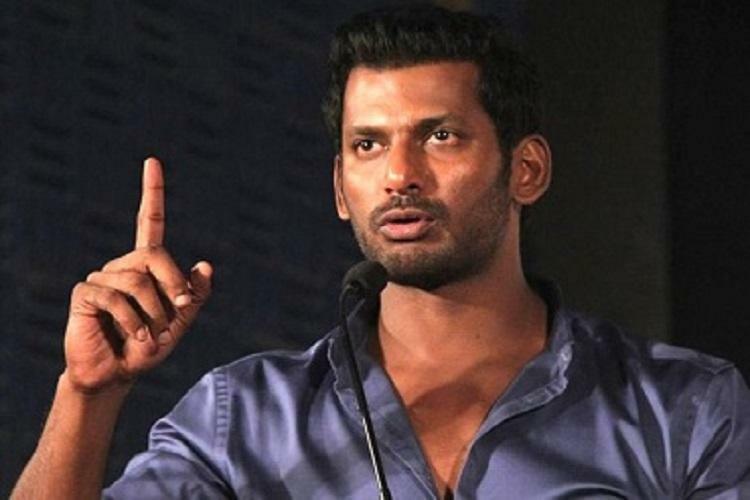 Tamil film industry is witnessing high drama after arrest of Vishal facing allegations on fudging funds of Tamil Film Producers Council. TFPC office was locked by the opponents and Vishal tried to break open the door. High Court order release of Vishal and criticized locking of TFPC office. Meanwhile, director AL Vijay’s father AL Azhagappan made shocking allegations on Vishal. He accused that Vishal is funding Tamilrockers.com. The notorious piracy website is sending shivers to actors and filmmakers by leaking movies online on or before release day. Tamilrockers have leaked big ticket flicks like Sarkar and 2.0. The site have been threatening upcoming releases and blackmailing filmmakers. Vishal too has been fighting against piracy. He has been successful in getting moved High court to ban several piracy websites. Court ordered Internet service providers to block piracy websites. But still Vishal had to face these bizarre allegations of funding Tamilrockers. Previous articleగోపీచంద్ కొత్త సినిమా షురూ.. ద‌ర్శ‌కుడెవ‌రో తెలుసా..?